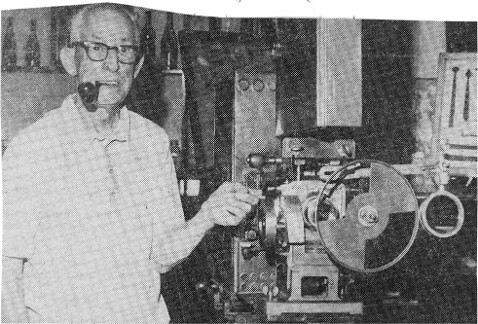 Homer B. Newell was one of the first projectionists in Foxboro, MA. His son, Burton, used to hang around the theater and eventually ran the projector himself. 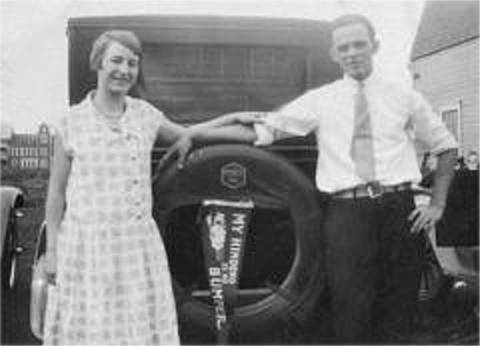 He worked for F. Munro Perry as a bus driver and at the Orpheum Theater as projectionist and janitor. When the Union Building was torn down, Mr. Perry gave the projector to Burton. The projector, films, and slides were donated to the town of Foxboro in 1983, and are now in Memorial Hall. 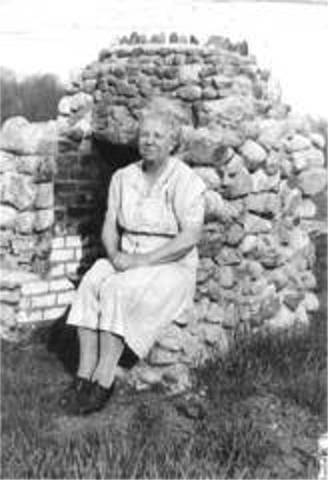 Gertrude Newell and friend, Jack.